You will have already seen the movie Jurassic Park – how well do you think you would do in a similar situation? 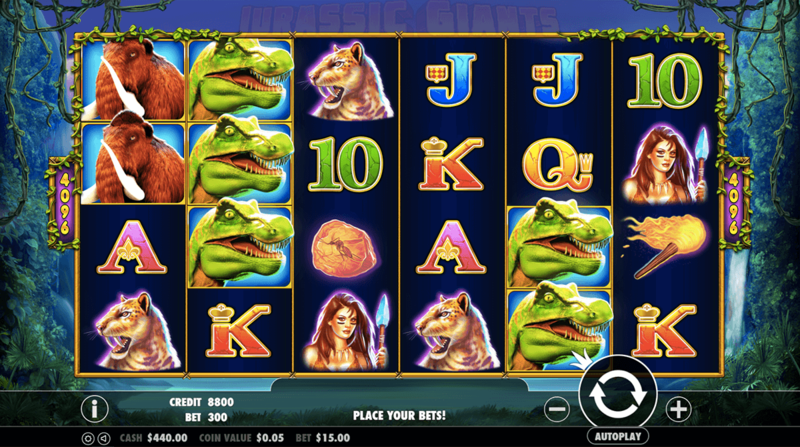 Well, the new slot games Jurassic Giants gives you the chance to find out! You’ll travel to the fictional island of Nublar and will come face to face with some beasts from the past. This is a land where someone has cloned preserved DNA and now mammoths and T-Rex walk around. Will you have what it takes to get out alive? Then try and play Slots Baby's new slots now! 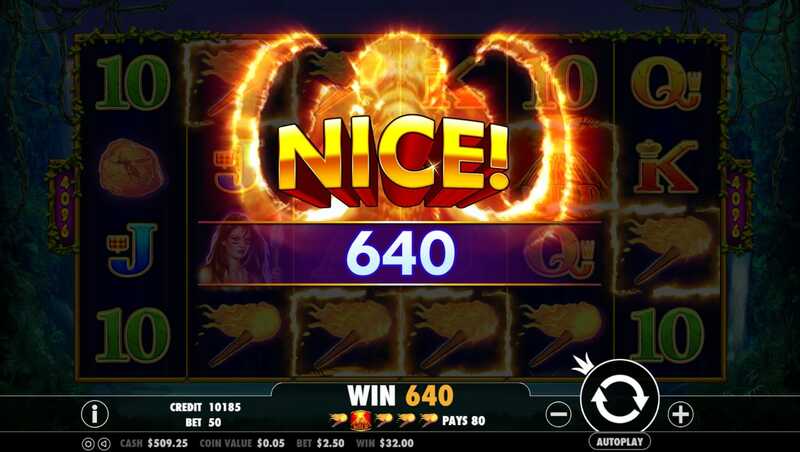 The developers at Pragmatic Play have come up with this dino-themed slot game. Even though they have only been around for a couple of years, this gaming company is now one of the fastest-growing games providers out there. They aim to make evocative and engaging games that really capture their players’ imaginations. They’ve certainly done that with Jurassic Giants as it effortlessly combines cool graphics with an appealing theme and background story. Get the best out of our casino promotions before you play the game! The island of Nublar is one alternative reality that you won’t forget in a long time! You’ll be helicoptered onto the island and will instantly be captivated by its natural beauty – there are gorgeous waterfalls, exotic trees and greenery, and bracing clifftops that look out across the ocean. The game board is held up by vines and features six reels. There is jaw-dropping 4,096 different ways you could win! As well as standard letters, there are some prehistoric-inspired symbols on the board. A cavewoman holds her spear to attention, and you could also spin mammoths, boulders, and T-Rex. Some of these picture symbols could bring you a lot of luck as you keep on spinning. WILD SYMBOL – Keep an eye out for the volcano. Not because it could erupt at any given moment, but because it is the game’s Wild symbol and will increase your winnings. It can swap any of the other symbols that appear on the Jurassic Giants game board, all except the diamond. SCATTER SYMBOL – The Diamond is probably the game’s most important symbol as it is the Scatter. This precious stone can get you some awesome prizes, and it will also win you a few free spins. In most slot games, you just need to spin three Scatters to unlock the Free Spin feature, but it’s slightly different here. The diamonds come in stacks, so you need at least ten of them for an extra go. The more you spin, the more free goes you will get – you stand to win a whopping 250 free spins if you play your cards right!